Maple Crunch Granola, your favorite yogurt topping made fresh at home. Using maple syrup, oats, coconut, dried cranberries, honey, and nuts. 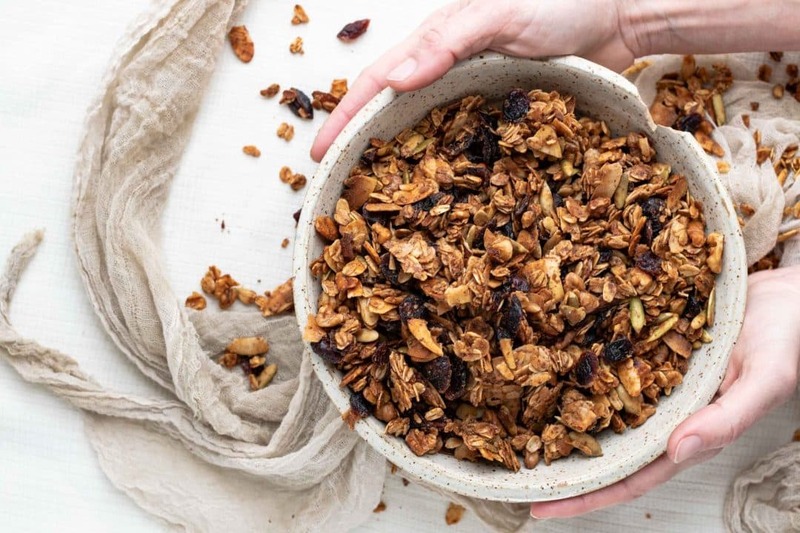 This Crunchy Granola Recipe is basically a mix and bake. All you need are your favorite granola ingredients, a sheet pan, and half an hour. When I find myself mindlessly snacking on dried cereal, I know its time to get baking:) My pantry is always stocked with an array of seeds and nuts. Not to mention bags of coconut flakes next to jars of honey! All my favorite mid day munchies piled into one fiber rich, energy boosting combo! 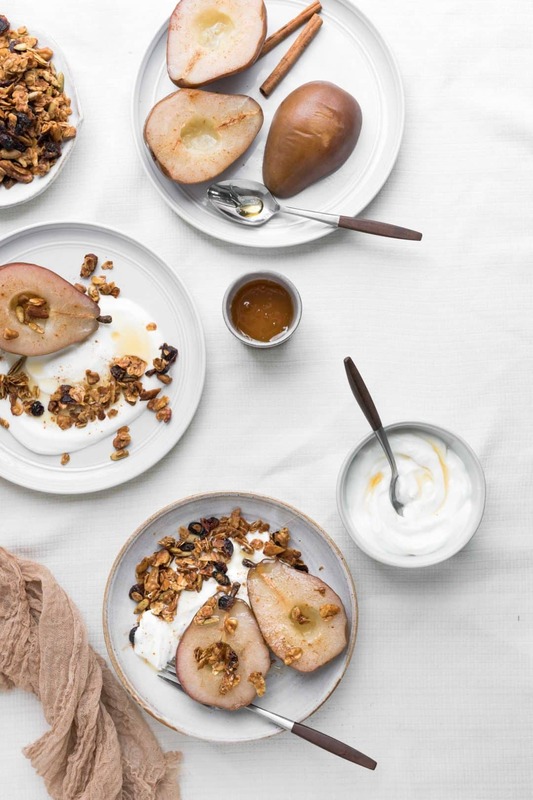 Mix and bake your granola ingredients. 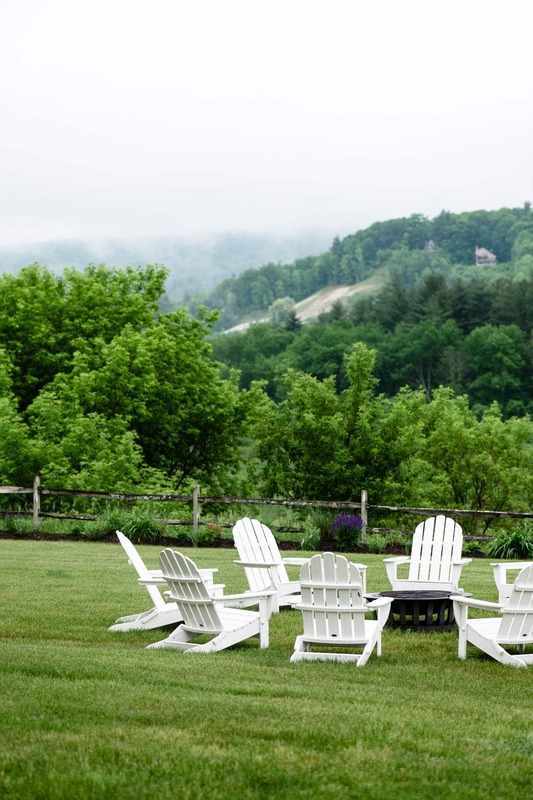 Let cool completely to allow honey and maple syrup to set. Use your hands or a spatula to scoop the granola from the pan. 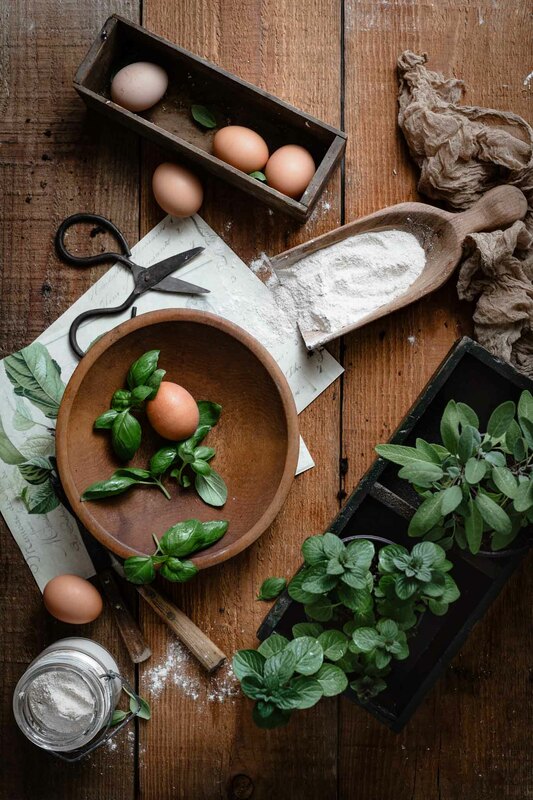 Slice your favorite fruit or grab some fruit preserves. Fill a small bowl with greek yogurt. 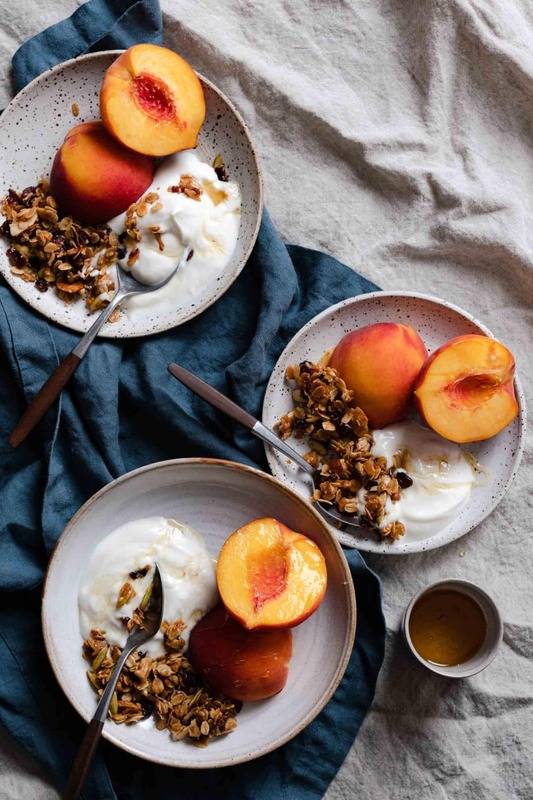 Top with your fruit, granola, and a drizzle of honey! Or..snack on it plain by the handful. 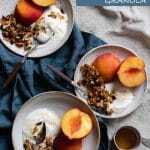 Enjoy this crunchy granola recipe with seasonal fruit, yogurt, and honey! I prefer fresh peaches in the summer and poached pears in the winter. 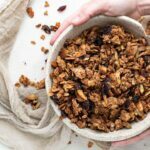 Recipe for Maple Crunch Granola a perfect addition to your yogurt! 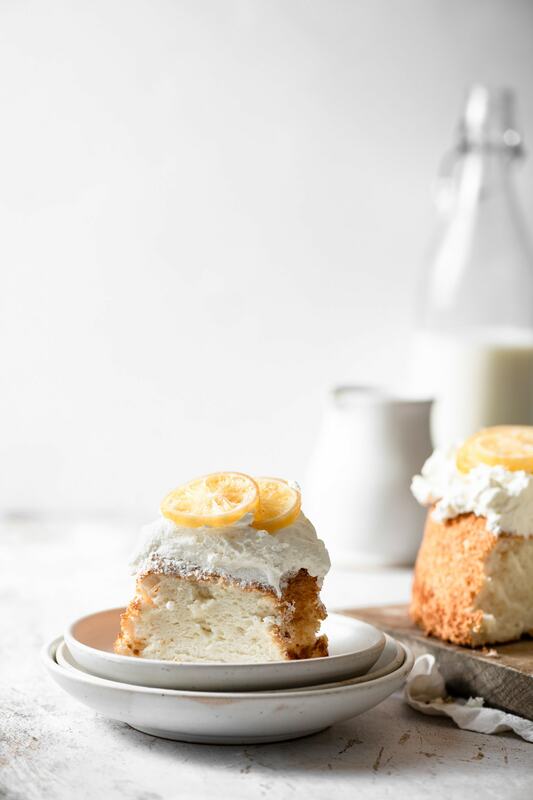 Add to muffins, cakes, and cereal for a sweet and crunchy topping. Store in an air tight container at room temperature for up to two months. In a medium bowl mix together oats, almonds, pumpkin seeds, walnuts, coconut, and cranberries. On a lines baking sheet spread granola into a thin layer. Granola will be slightly darker due to maple syrup. Once cooled it will become crunchy! Serve with yogurt, ice cream, atop cereal, or enjoy plain!